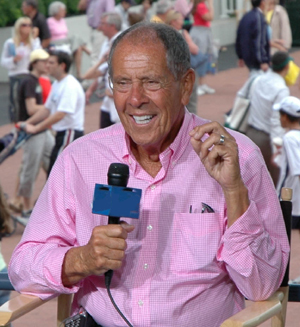 NICK BOLLETTIERI is the world’s most famous tennis coach, and the most successful. He’s coached an unequalled 10 players to No1 in the world, from Andre Agassi and Monica Seles to Jim Courier and Maria Sharapova. He’s never been accused of being shy, and he’s certainly not retiring. Ever. Holy Mackerel! Holy Cow! I can’t believe it’s already that time of year again: Wimbledon, the most prestigious tennis event in the world, is almost upon us. I’ll keep this brief because I’m halfway through packing my bags to catch my flight tomorrow from here in the USA to London, where I land on Friday. I’m so excited about this year’s event because, no bulls**t, it’s the most wide open Wimbledon I have ever, ever known. I think there are 10 men at least who could say they have a realistic shot at winning simply because the sheer and utter dominance of Roger Federer appears to be waning, even slightly, which blows the whole thing open. Nadal, Djokovic, Murray, Roddick, Soderling, Tsonga, Cilic, Berdych, Hewitt. Why shouldn’t each and every one of those believe it can be their year? Them and plenty of others. On the women’s side, you only have to look at what happened in the French Open to see there are no guarantees that one of the so-called “big names” will win. It’s so wide open, it’s untrue. Now if you pinned me to a wall and said ‘Nick, you have to make a decision or else’, then I’d say never rule out Roger, and the same goes for Venus and Serena. But I’m telling you I wouldn’t say it with anything like the confidence of years gone by. When the draw is made and we see who might play who, we’ll have a better idea of the shake-up; and I’ll be detailing my thoughts on the tournament every day in my Wimbledon dossier for The Independent newspaper, as I’ve done for years now. One other thing struck me as I pondered the men’s entry list today. For the first time in Wimbledon’s storied 133-year history, there will not be a single English man involved in the men’s singles. That is staggering. Jaw-dropping. Sad. Yes, there will be two British men, and we wish Scotland’s Andy Murray and Jamie Baker the best of luck. But to have no English men in the most quintessentially English sporting event on the planet is unbelievable. As I wrote back in March, there’s a lot of hasty conclusions that could be reached that aren’t actually helpful. What we need – what British tennis and English tennis needs – is constructive ideas, a positive way forward, and an open mind on how to bring about change. I believe Roger Draper, head of the LTA, is a man who listens to new ideas and welcomes them. I’m honoured that on Sunday I will be the guest speaker making the keynote speech at a special LTA coaches conference in London. The day-long conference will consider the way in which players are developed from under 10 to fully developed juniors. As someone who has had a role in developing some of the best tennis players the world has seen – from kids to world No1s and Grand Slam champions – I believe I might be able to help British tennis. The offer has been there for years and it’s still there. Can we bring about change? Yes, we can. Now I gotta dash. I got a bag to pack. I got a plane to catch. Wimbledon, here I come. 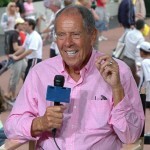 Thanks for reading, and any time you’d like to drop by my website for news, views and tennis picks, it’s linked here.